On the 7th of July the contract between the European Bridge League and the Hungarian Bridge Federation for the organisation of the 53th European Teams Championships was signed (16-26 June 2016). 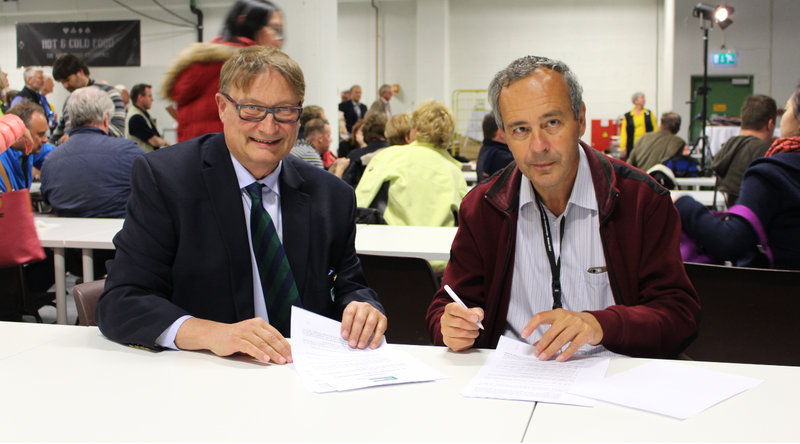 In the picture the EBL President Yves Aubry and the HBF President Geza Homonnay at the time of signature. Click here to watch the interview with both Presidents.